Dr. Gabriel Fitzpatrick on World TB Day: "Our grandparents used to call it consumption"
On World TB Day over nine million people are infected with tuberculosis with one and a half million expected to die from this disease. Our grandparents used to call it consumption, a disease that slowly hollowed out a loved one. Today, tuberculosis or TB continues to infect nine million people per year globally and an estimated one and a half million die from the disease each year. The majority of cases are in low and middle income countries. These figures, although large, represent an overall improvement in the global burden of TB during the last decade. But there is a caveat. A worrying development is the growing proportion of patients who are infected with a type of TB that is resistant to standard treatment, known as Multi Drug Resistant (MDR) TB. The World Health Organization estimates there were almost half a million cases of resistant TB in 2013 alone. Ominously, certain TB is now so resistant to treatment that it is called Extensively Drug Resistant (XDR) TB. Normal tuberculosis can be successfully treated with four drugs given over six months. Resistant strains require at least five different drugs to be taken for up to 20 months. The problem with the resistant TB treatment is that it has serious side effects. One of the drugs must be injected daily and can cause deafness, while others lead to distressing gastrointestinal problems and can damage certain organs of the body. The most common form of the disease is lung TB and a person can spread it by coughing or talking to another person within confined spaces. It goes without saying, it is in everyone’s interest to help societies with high levels of TB as it represents a potential threat to all countries. Médecins Sans Frontières / Doctors Without Borders (MSF), who are better known for fighting Ebola, have been committed for years to treating TB patients in countries with a high burden of the disease. One such country is Swaziland in southern Africa with a population of just over one million people. Last year it had approximately 7,000 cases of tuberculosis. Here, MSF operate dedicated hospital wards and clinics for all types of TB. On our ward round this morning there are many patients, each with their own story of how TB has affected their lives. A 40 year lady is sitting up in bed smiling. She has the resistant type of TB (MDR). Two weeks ago she partially lost her hearing as a side effect from one of the drugs and is now using her hands to communicate. Doctors and nurses working for MSF are faced with the difficult dilemma of using drugs with very serious side effects in order to cure patients of a disease which can kill them. Risks are always explained to patients. A young lady in her twenties with resistant TB in the next ward has a sheet over her head. She has just died. She turned up to the hospital several days ago with very advanced TB, too late to have a fighting chance of survival, even with the cocktail of drugs available. One of the most intimidating wards is that of the Extensively Drug Resistant TB (XDR) cases. Here patients are treated with drugs that form the last line of defence against the disease. Thankfully, these patients appear to be tolerating their treatment at the moment but this situation can change quickly. At all times while working on the ward we must wear specially fitted masks that prevent us from inhaling TB. This forces us to use our eyes to smile at patients. The vast majority of those treated for TB by MSF have a successful outcome because they are given the right drugs, at the right time and for the correct duration. 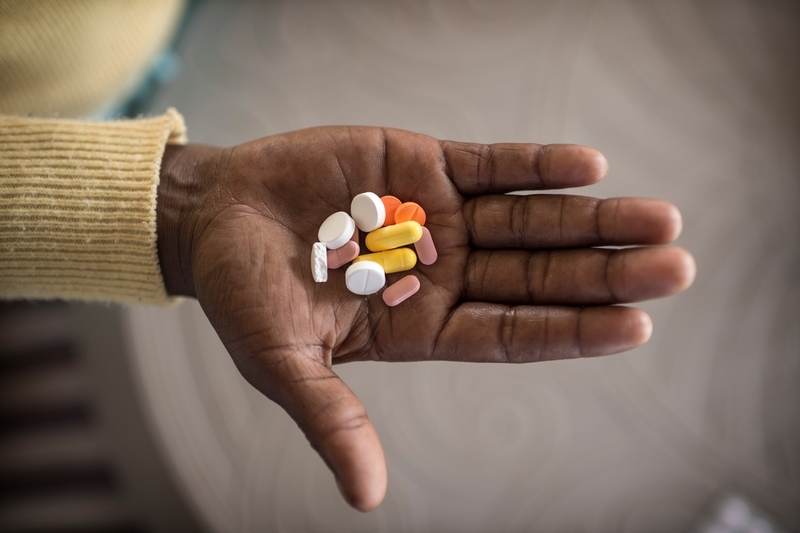 Currently MSF is testing a new combination of medications for Multi Drug Resistant TB that can be given over nine months instead of the current 20 months, the results of which will become available at the end of next year. If successful, this will dramatically shorten the amount of time patients need to take these potent drugs, leading to greater compliance and reducing the opportunities for TB to mutate into ever more resistant strains. However, what are really needed to win the battle against this disease are new drugs that are more active against TB over a shorter duration of time. This requires research on a much larger scale than is currently the case. MSF will continue to treat patients at the bedside and in the community, in countries such as Swaziland, for as long as TB remains. This directly benefits our patients and indirectly benefits people throughout the wider world.